(SKNIS): National Security Advisor, Major General (Ret.) Stewart Saunders and members of the local media had an opportunity to learn from each other this week during a meet and greet forum at the Ministry of National Security on August 16. The General went on to add that he was most concerned about the number of homicides when compared to the size of the population and the fact that everybody he has met with shares the concern. 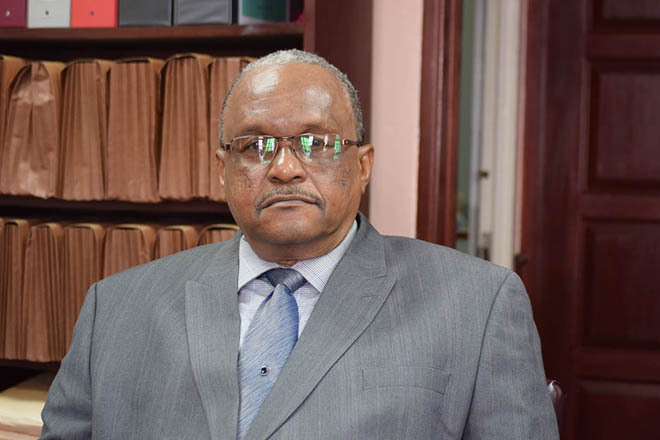 “But everybody also feels that at this particular moment in time we are trending in the right direction and they have been very helpful, extremely helpful in, you know, putting their services forward as far as the fight against crime is concerned,” General Saunders said. Major General (Ret.) Stewart Saunders has met with several stakeholders so far as part of his introductory discussions with various stakeholders. He disclosed that he had already met with the Criminal Justice Strategic Board, the Christopher and Nevis Police Force, the St. Kitts and Nevis Defense Force, Her Majesty’s Prisons, The Chamber of Industry and Commerce, The St. Kitts Christian Council and St. Kitts Evangelical Association and a number of other stakeholder groups.